Mastering the poached egg is a skill and still tricky at the best of times, that not all of us can seem to master. 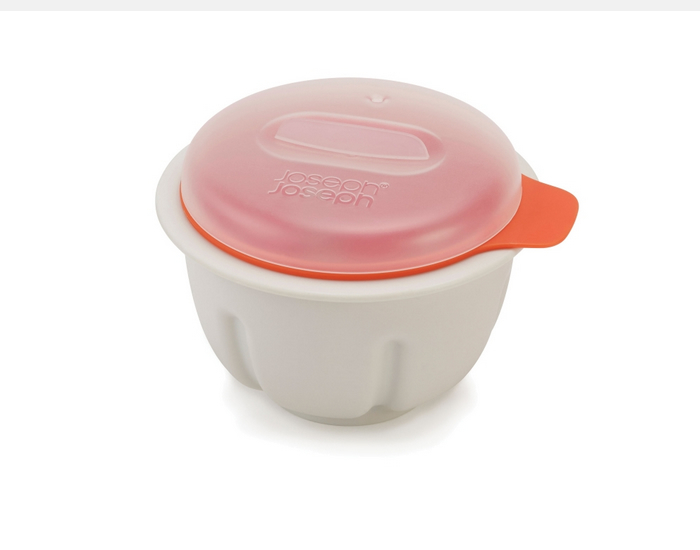 But we can now with this clever kitchen tool from the ingenious Joseph Joseph. This poacher makes poaching eggs quick and easy. Featuring a splash-proof lid and water drainer to make sure your eggs are perfect every time! To use simply fill the poacher with water, heat briefly in the microwave and then break in an egg. Cover with the lid and microwave on full power for the specified time. To serve, simply lift and drain the cooked egg with the integrated colander. Full cooking instructions are included.